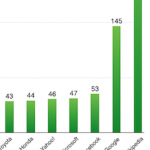 Has Google hit a language ceiling? Google announced that they now have 30 products available in 30 languages. 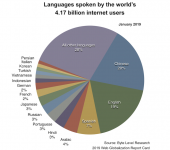 And many of these products, such as Gmail and Adwords, now support 40 languages. 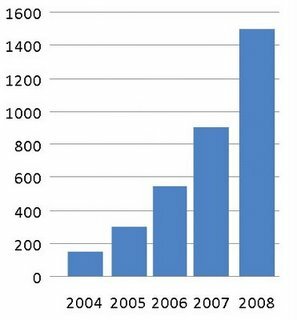 Here is a graph they published of the rate of growth of their language support. It’s a very impressive visual, but I found it potentially misleading. What is being displayed is not the total number of “unique” languages Google supports, just the total number of product/language combinations. And that’s an important detail. 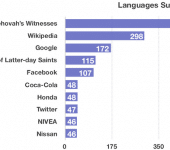 Google is nowhere near supporting 1,400 different languages. 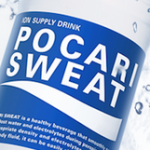 Their search engine interface, which supports roughly 120 languages, represents the maximum number of languages the company supports. And this number has only increased by about 10 languages over the past two years. The other Google applications appear to have peaked (for now) at between 40 and 43 languages. 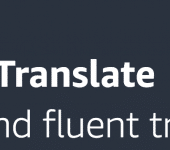 To support 40 languages is remarkable. 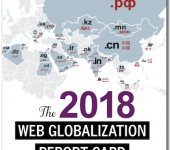 Based on my survey of 225 global Web sites in the 2008 Web Globalization Report Card, fewer than 10 companies support 40 or more languages (English excluded). 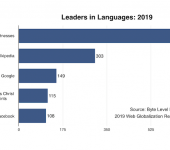 Still, it looks as if Google is now focused on getting its increasingly wide selection of software up to the 40-language mark rather than aggressively pushing into brand new languages. Gmail, for instance, now appears to be adding a language or two per year — rather than 10 to 20, which is the pace we’ve been seeing with YouTube and Blogger. 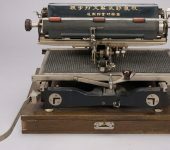 Will Facebook become the world’s largest translation platform?